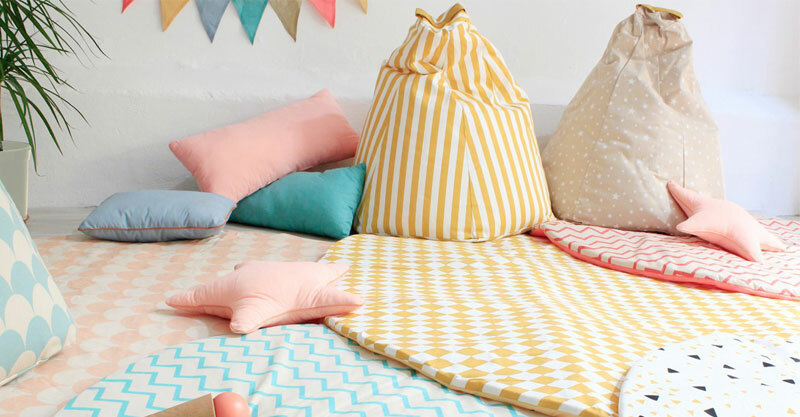 Creating the perfect space for kids is all about selecting fun and bright colours with intentional toys and books and the softest, cosiest textiles to make staying and playing a no-brainer. 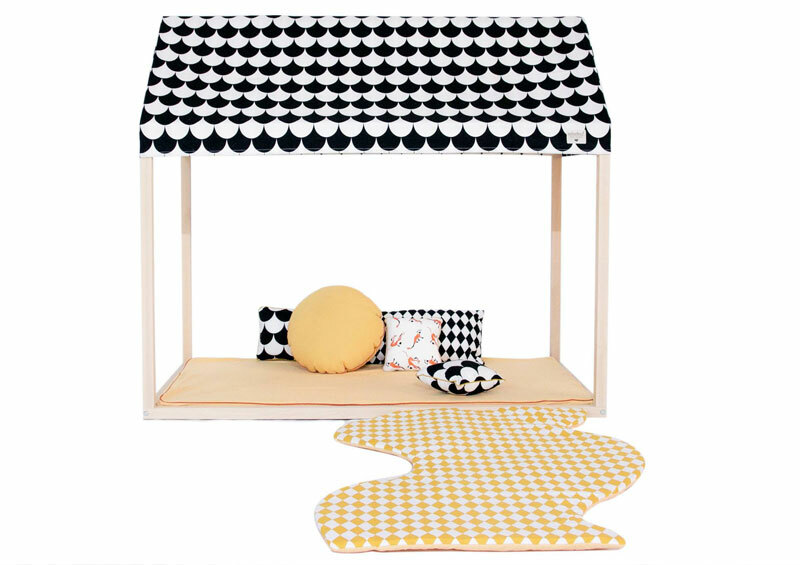 Nobodinoz have cornered the market in this particular niche and their latest product releases have us yearning for a playroom makeover… again! 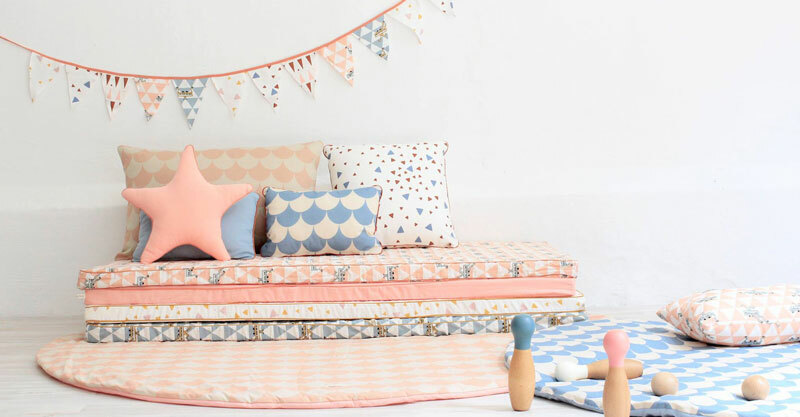 Nobodinoz are quickly becoming a favourite of ours here at Babyology with their gorgeous colour palette and extensive range of furniture, decorations and textiles that are right on trend. Their Mattress St Tropez (€58) is sheer brilliance in my opinion. Available in lots of fun colours and designs on uniformly sized foam mattresses, you won’t be able to stop at just one. They are super versatile and look amazing stacked four to five high to create a cosy reading nook and, unlike a couch, can easily be spread around for playtime on a hard floor or, better yet, an instant slumber party! The mattress covers can be easily removed and washed so your biggest decision is how many and which colour scheme to choose. Soon to be released is the Ibiza Home. This natural timber frame will delight little ones and perfectly fits one or more Mattress St Tropez. Designed to be used indoors or outdoors, kids will love the idea of having their own stylish and compact playhouse to play, hide, cuddle or take a nap. Another lovely pairing is the Teepee Arizona (€139) and the Carpet Apache (€50). There is a huge range of colours and patterns to choose from so you can mix and match. 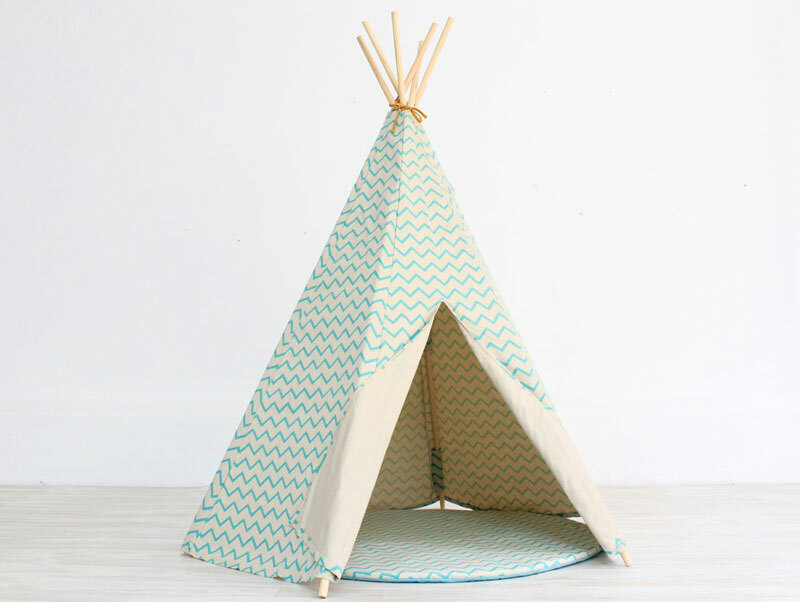 The Carpet Apache comes in two sizes and the small size fits perfectly inside the Teepee Arizona for the ultimate in comfortable playing. Round off your playroom or add a touch of stylish fun to any room in the house with a Beanbag Essaouira. This beanbag is priced at €90 and it comes in a simple but unique shape that just makes sense for lounging. Designed and made in Barcelona, Nobodinoz is quickly gaining traction with an international audience. You can explore all they have to offer in their online store. Nobodinoz predominantly ships within Spain and Europe, particularly for their larger items so that playroom makeover may be wishful thinking for a little while yet.